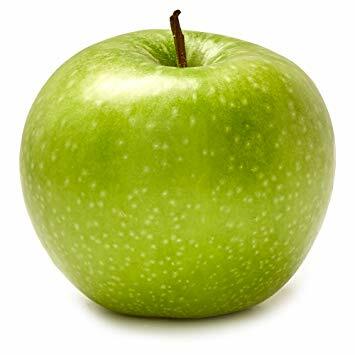 The Granny Smith apple was discovered in Australia in the 1860’s. 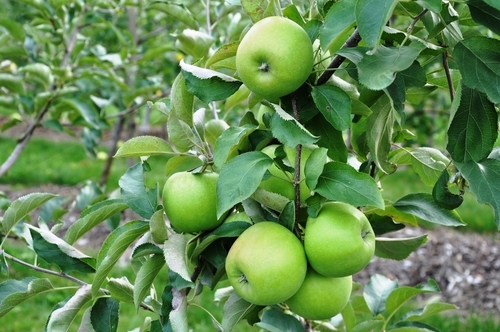 A chance seedling on a compost heap in the orchard of Maria Ann Smith led to the first apple to be introduced into the United Kingdom in the 30’s. Their flesh is bright white and crisp in texture with a tart, acidic, yet subtly sweet flavour. They are often used in cooking because of their high acidity and ability to hold their shape when cooked. They can be baked into sweet or savoury pies and tarts, added to savoury bread stuffing, risotto or potato pancakes. Their sweet-tart flavour is a great addition to soups, smoothies and sauces. 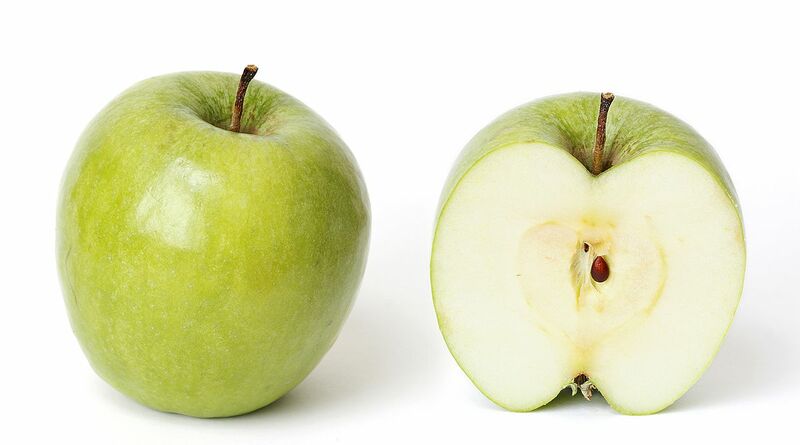 The Granny Smith Cultivar originated in Eastwood, New South Wales, Australia (now a suburb of Sydney) in 1868. Its discoverer, Maria Ann Smith, had emigrated to the district from Beckley, East Sussex in 1839 with her husband Thomas. They purchased a small orchard in the area in 1855-1856 and began cultivating fruit, for which the area was well known, in colonial Australia. Smith had eight children and was a prominent figure in the district, earning the nickname “Granny” in her later years. 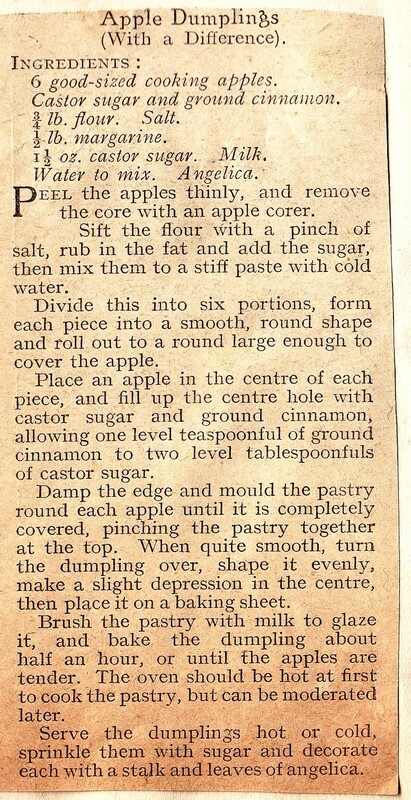 The first description of the origin of the Granny Smith apple, published in 1924 in Farmer and Settler was the account of a local historian who had interviewed two men who had known Smith. One of those recalled that in 1868, he and his father had been invited to Smith’s farm to inspect a chance seedling that had sprung near a creek. The story recounted that Smith had been testing French crab-apples for cooking, and, throwing the apple cores out her window as she worked, had found that the new seedling had sprung up underneath her kitchen windowsill. Granny Smith took it upon herself to propagate the new apple. 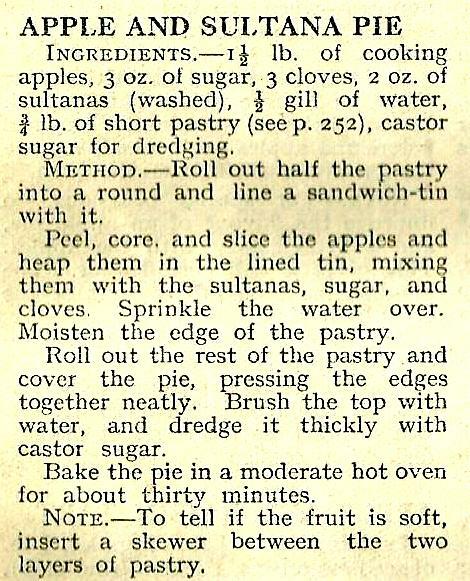 Finding the fruits to have ‘all the appearances of a cooking apple’ but were ‘sweet and crisp to eat’ she took a stall at Sydney’s George Street market, where the apples became ‘exceptionally popular’ and once a week sold her produce there. Granny Smith died a few short years after her discovery but her work had been noticed by other local planters. Edward Gallard was one such planter, who extensively planted Granny Smith trees on his property and bought the Smith farm when Thomas died in 1876. Gallard was successful in marketing the apple locally and in 1890 it was exhibited as ‘Smith’s Seedling’ at the Castle Hill Agricultural and Horticultural Show. 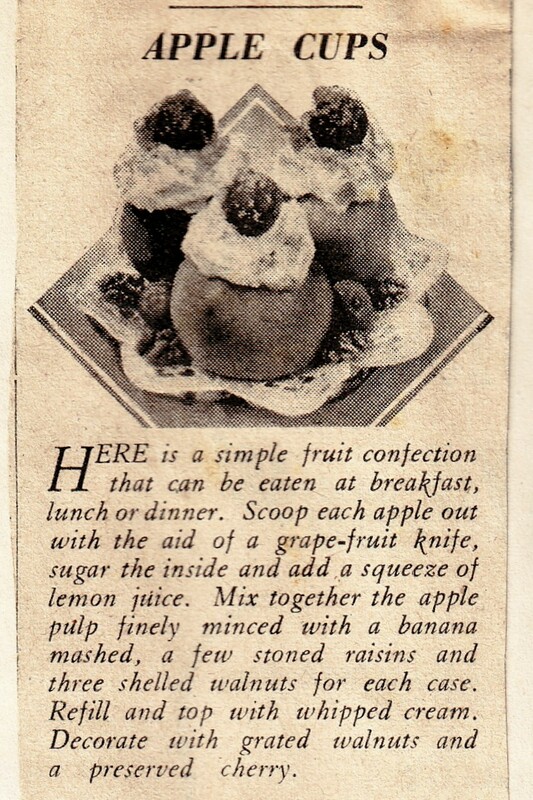 The following year it won the prize for cooking apples under the name “Granny Smith’s Seedling. In 1895, the New South Wales Department of Agriculture recognised the cultivar and had begun growing the trees at the Government Experimental Station in Bathurst, New South Wales. Its worldwide fame as a late-picking cooking apple with a good potential for export grew from the fact that it could be picked from March and stored till November led to the government actively promoting it, leading to its widespread adoption. They became one of the first varieties of apple to be widely available in supermarkets and their excellent storing qualities made them suitable for export. With their bright green skin, often speckled with pale white spots they are medium to large in size and suitably round in shape. Today Granny Smith apples grow in Australia, Europe, New Zealand, South America and the United States. They tend to ripen best in warmer climates where they get a significant amount of sunshine. According to the United States Apple Association website it is one of the fifteen most popular apple cultivars in the United States. 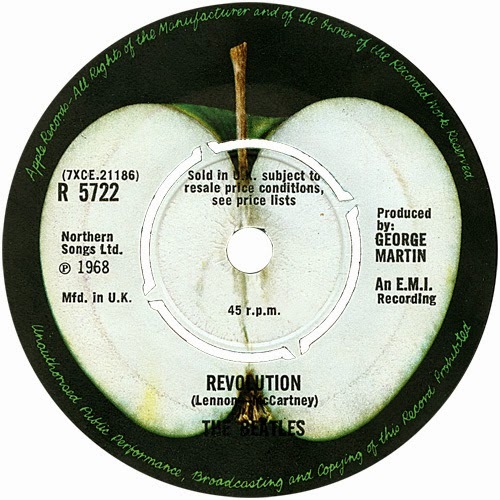 So much so that in 1968 The Beatles used an image of a Granny Smith apple as the logo for their corporation, Apple Corps Limited and for their record label, Apple Records. 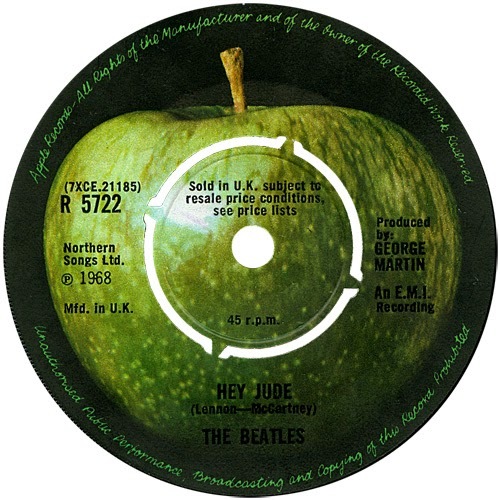 One side of vinyl albums featured the exterior of the fruit whilst the other side of the recording featured a cross-section of the apple. This entry was posted in Bakery. Bookmark the permalink.